Описание: bx_saturator - многополосный M/S инструмент сатурации, который может использоваться при мастеринге, сведении и саунд-дизайне. Он осуществляет теплое и утонченное искажение, которое творит чудеса на индивидуальных источниках сигнала, и даже может применяться на стерео мастер-канале в режиме M/S стерео. Новая технология True-Split обеспечивает идеальную синхронизацию по фазе. Natural sound. In your face. 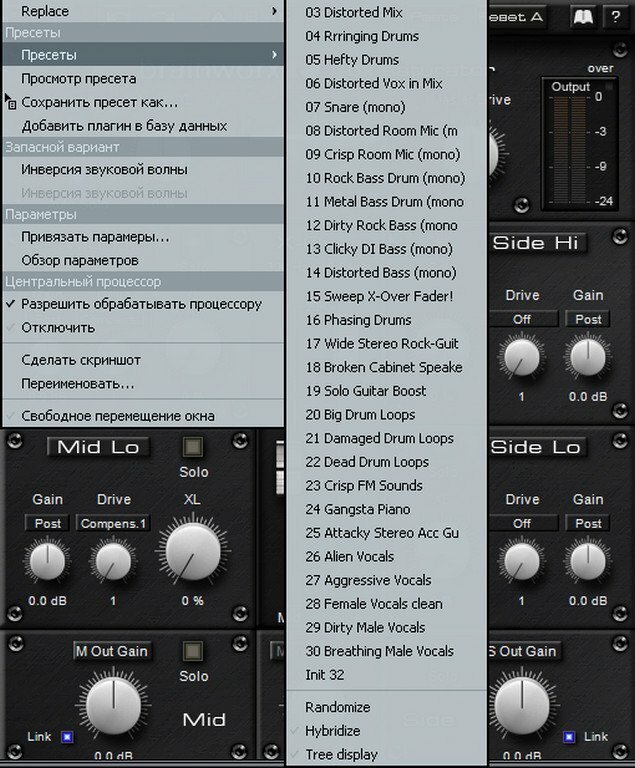 The bx_saturator is an M/S & multi-band saturation tool which can be used for mastering, mixing and sound-design. It offers a warm and subtle distortion which works wonders on individual signals and can even be applied to the stereo master channel in the M/S stereo mode. Brainworx's NEW "True-Split" crossover technology ensures that Mid and Side channels are perfectly in phase - all the time. 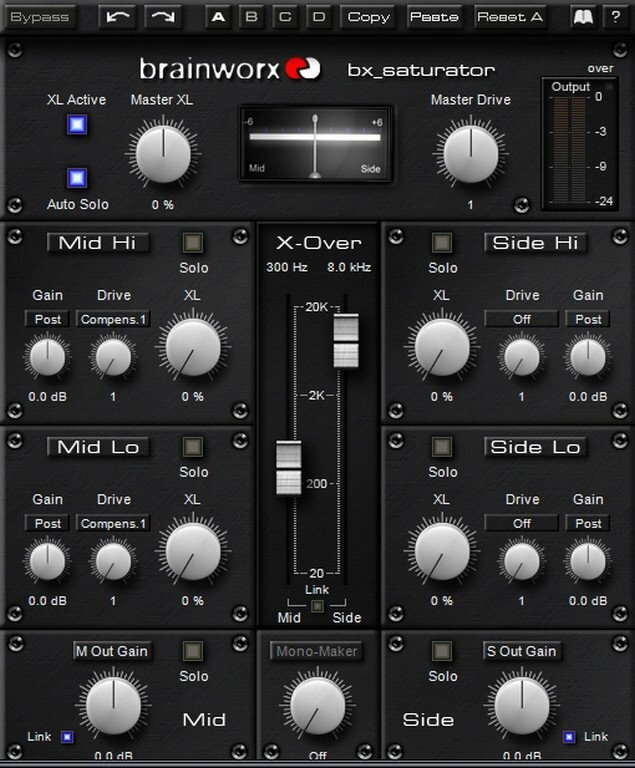 The bx_saturator belongs to the new "Brainworx Rock'n'Roll line" of creative plugins. Technical excellence for the creative musician and engineer. 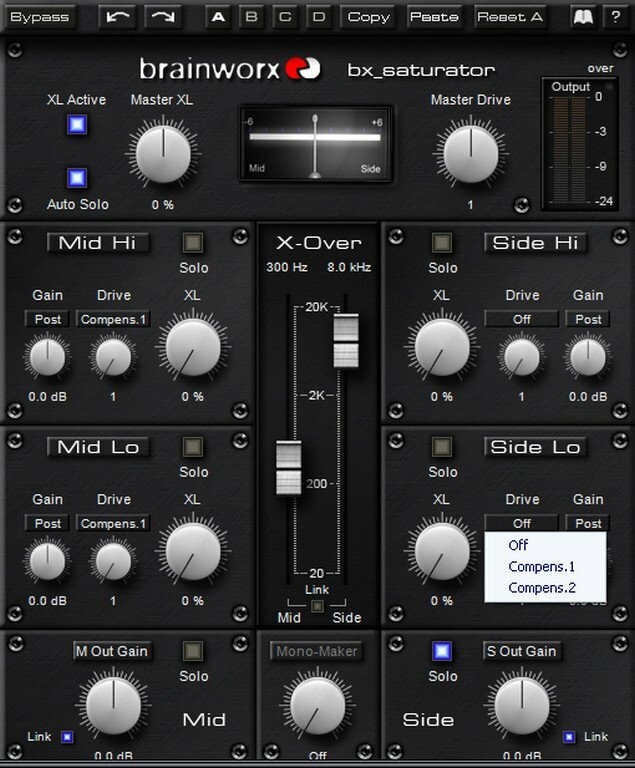 Although bx_saturator offers a mono / multi-mono version Brainworx consider the stereo M/S version of the plugin the main version which will enable you to thicken and boost any stereo signal or mix in a more discrete way than ever. Increase the perceived volume of mixes without clipping them, or bring out delicate signals like acoustic guitars and percussion in full mixes without increasing their actual level or eq-ing them in a harsh and offensive way. Distort vocals in full mixes without loosing the punch of your drums or the clearity of your keyboard sounds and stereo guitars. The ability to phatten and even slightly distort M & S signals independently - and separately for high and low frequencies - will give you many great, fresh and inspiring sounds. Гигантское спасибо, весь инет облазил, только здесь есть!!! !